Taste, smell, texture, color and presentation are the 5 qualities often associated with food. What about memories? Don't some dishes, the places where we ate them and the people with whom we shared them make strong memories? 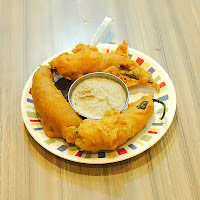 A mention of Chicken Cafreal reminds me of my boyhood days in Goa when my father used to take me to Florentine, Saligao specially for this dish. The bad thing - we had to wait in a queue. The good thing - the queue was just opposite to the kitchen where the air was full of the Cafreal gravy aroma. I remember telling my sister once that I could eat a bead just sniffing the air. A trip to Panjim was never complete without a visit to Cafe Bhosle or Cafe Real - may it be with friends or family. 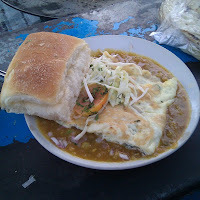 Tamato Bhaji with bread, Bun and Mirchi was a regular order and ofcourse the Chai to finish with. 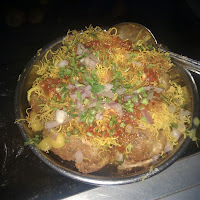 Another dish that has strong memories is the Shiv Poori on the road side stalls at Calangute beach. After taking my school lessons my cousin used to take me there as a reward. Hot smashed patato, hot chana, tamarind chutney, nylon shiv and the spices. All in crispy golgappas - I could never resist making the 2nd order. Omlette B haji - this is one of the dishes I crave for in Bangalore. A freshly fried omlette with hot tava bhaji and tava toasted bread. All this while the cool Calangute beach breeze hit the face. What an experience! Now I make it a point to take my little cousins to these stalls, it’s their time to build memories. Which are your best memories with food?